A first in Northern California! You have no place to run and you're at the mercy of the demented tractor driver. 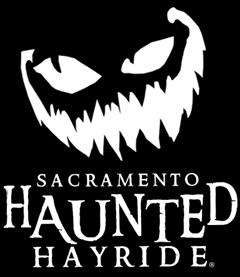 Now, step aboard your hayride and take a ride into the unknown. You might want to take the ride with someone you love. It might be the last time you see them. There's nothing scary about a pitch black corn field, is there? Don't worry, we'll give you a flashlight. Now, don't lose it. 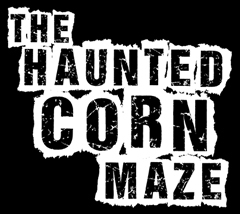 Enter the Haunted Corn Maze and discover a world of pure evil within. Whatever you do, don't look back! out of a wheelchair. Strobe lights used in this attraction. Fog used in this attraction. Theatrical elements, such as heavy fog, show lights, including strobe lights, may be used through, including outside of attractions, in queue areas and in pathways surrounding the attractions. Should you or any member of your party have a photosensitivity or seizure disorder, we recommend that you check with your personal physician for specific instructions before visiting Fright Planet.